Genius Brands International's (Nasdaq: GNUS) new animated preschool series, Rainbow Rangers, was the #1 Nielsen ranked kid’s series of 19 series on Nick Jr., by its third week on the air. RAINBOW RANGERS -- #1 SHOW, KIDS 2-11, #1 SHOW, GIRLS 2-5 WITHIN 3RD WEEK OF SERIES LAUNCH ON NOV. 5TH ON NICK JR. I would like to take a moment to share with you some incredibly exciting news on our new preschool show, Rainbow Rangers, on Nick Jr. The ratings and statistics surrounding the Rainbow Rangers launch have been fantastic, but the best news was the Nielsen ranking released this last Friday, for the week of November 19. Rainbow Rangers was the #1 Nielsen ranked kid’s series of 19 series on Nick Jr., by its third week on the air (see Ratings Ranker Nielsen chart below). Up to 170% retention from lead-in series Shimmer & Shine in its 2nd week on the air, w/o Nov. 19. The average retention of Rainbow Rangers is 131% from the lead in. 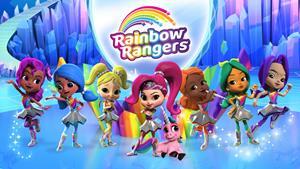 Rainbow Rangers average co-viewership (Parents & Kids) is 260,000, with retention and growth increasing daily. Nick Jr. added “Encore Runs” as a result of a successful performance, including Primetime Sunday, Nov. 25 between 8-9PM, where it became the #1 show on Nick Jr. for the week, by its 3rd week on the air. (see Ratings Ranker Nielsen chart below).